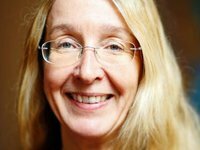 Ukraine's Cabinet of Ministers has permitted healthcare institutions to plan own financing, but a bill should be passed for the complete autonomy, acting Health Minister of Ukraine Ulana Suprun has said. "We have passed the resolution that we give more autonomy to medical institutions. They would plan their financing and manage the funds instead of receiving it from district or regional councils. Hospitals would be able to redistribute the funds in the middle of the year without calling a session of the local council. Now hospitals would be able to redistribute their budgets," she said in an interview with Interfax-Ukraine. Suprun said that the bill on autonomy gives more autonomy to medical institutions in the issue of sources of financing and self-government. "The resolution passed concerns only finances inside institutions. It permits medical institutions to redistribute the money from one program to another, taking into account own needs. One can say that this is a first step to autonomy. We are waiting for the adoption of the bill on autonomy at second reading from the Verkhovna Rada," she said.